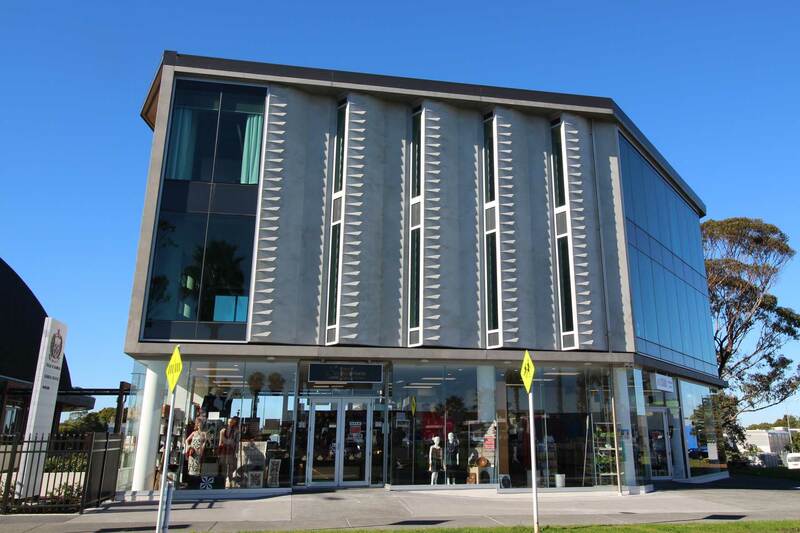 The Government of Samoa’s requirements for a new consular office and a community based Fale provided an opportunity to explore the cultural needs of a growing Samoan community whilst working within the Auckland Council’s future vision overlay for the Mangere town centre. The project consists of a campus style development of two buildings: a three-level consular office and a traditional Fale building, believed to be the largest in the world. Between the two buildings is the Malae, a traditional formal gathering area. The consular office building had to be durable, and sympathetic to the Fale adjacent. Investigations into the viability of retail and office accommodation mix were then added to the brief. The concept was developed with these uses assigned to the ground and first floor levels and consular activities. The aesthetics were derived from a study into the patterning characteristics of the tapa cloth and its textural weave, along with the symbolic shapes of the traditional Samoan tattoo. These became the driver for selection of materials, finishes, patterning and geometry of the panel penetrations, along with other elements of the building facade. The materials palette include precast concrete elements, vitex timbers to screens and battens over plywood claddings and structural glazing. The timbers and plywood claddings relate and connect the main consulate building to the traditional Fale. Wilco Precast delivered a total of 170 panels comprising 101 standard precast beams, columns and stairwell panels and 89 Litecrete fins, eyebrows and aprons. The 240 mm thick cranked Litecrete fins were cast in purpose-built demountable steel moulds.